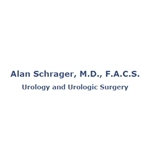 Schrager Urology (Mamaroneck) - Book Appointment Online! Despite the onslaught of managed care and the HMO environment, the practice of Alan Schrager, M.D., F.A.C.S., in Mamaroneck and Rye Brook, New York, remains devoted to a personalized, caring, individual approach to care for our patients. We keep our patients fully informed, speaking in simple terms that are easily understood. No patient leaves here unhappy, uninformed, or with unanswered questions in their mind. We offer the highest quality of care and up-to-date technology. Dr. Schrager has been performing TUNA treatment for BPH in his office under local anesthesia with great success. He also diagnoses and treats general urological disorders. Dr. Schrager and his staff are proud of the quality they provide. Use these pages to learn more about our practice, our physician, our services, and urology. We hope you find these pages helpful and informative when making health care decisions.